The estranged husband of an NBCUniversal vice president has been arrested for choking their 7-year-old daughter to death in her bed. Neil White, 47, has been charged with second-degree murder in the death of daughter Gabrielle White, which took place in the family home he had surrendered to his wife just one day earlier. Police found the girl dead in her bedroom. His wife and the child's mother, NBCUniversal talent acquisition vice president Michelle Hord-White, had filed for divorce from White in April. They wed in 2007. Hord-White was not at the family's New Rochelle home at the time of the fatal attack. Gabrielle's babysitter, Tonette Mahon, received alarming text messages from White and immediately rushed to the home, according to police. Upon entering, she noticed that the upstairs shades were drawn shut. 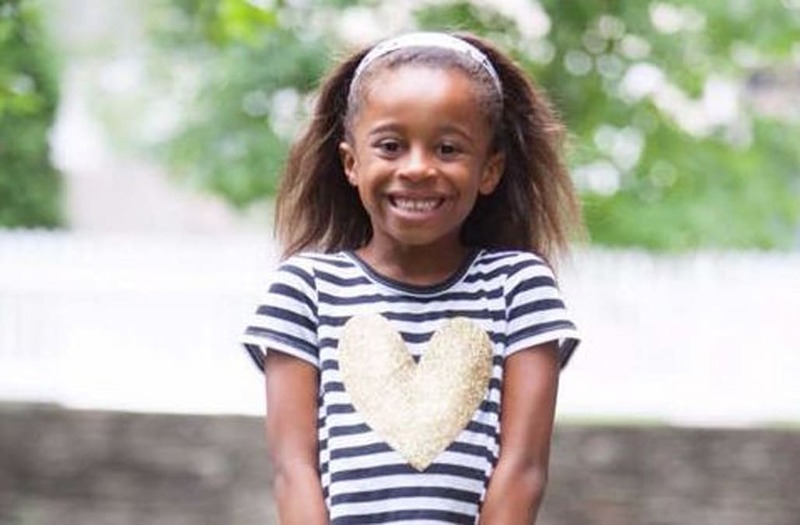 Above: Gabrielle White, 7, who died Wednesday, June 7. Photo provided by family to press. White reportedly emerged from a room bleeding and told Mahon the child was "in her room resting." She saw that White had bloody cuts on his wrists. Mahon checked on the girl, discovered that she wasn't moving and called police. Police believe the second grader was asphyxiated. An autopsy will be conducted by the Westchester County Medical Examiner's office. White and Hord-White lived at separate residences and shared custody of Gabrielle. The mother was reportedly in hysterics when she arrived at the scene. The family issued the following statement: "No words could sum up all that Gabrielle meant to us, but she was our light. We are broken and devastated that our sweet little girl is gone, but we're thankful that we had seven wonderful years with her." Gabrielle was in second grade at William B. Ward Elementary School. School officials said grief counselors are available to help shaken staff members and students.